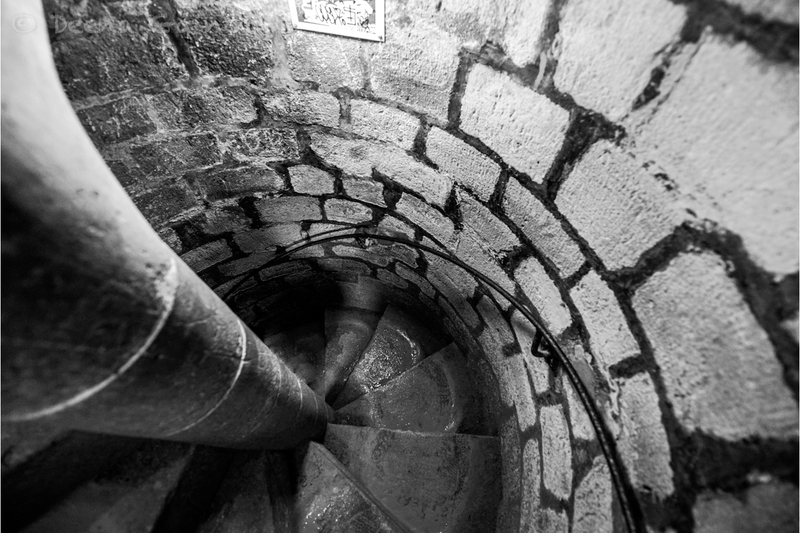 Hiding beneath the beautiful city of Paris are a labyrinth of ancient tunnels and chambers stretching out for miles. Did you know they existed? I didn’t. I was only familiar with the Catacombs of Rome. Thanks to my daughter, Mikayla, however, for educating us and asking to visit. The famous Catacombs of Paris were created at the end of the 18th Century, as a result of overcrowded cemeteries and improper burial techniques. As cemeteries began to overflow, unable to keep up with the ever growing population, rampant disease and contamination resulted, effecting those closest to these cemeteries. Those living near the oldest cemetery in Paris at the time, Les Innocents, were the first to complain, as the stench and decomposing bodies being exposed by the elements overwhelmed them. It wasn’t until the 1780s, however, that a solution was discovered…the long forgotten miles of limestone quarry tunnels beneath the city. The bones of between six to seven million bodies were transferred over a period of twelve years, neatly stacked along the long, cold corridors, sometimes in patterns, sometimes in the shape of crosses or other images.